Laser Cutting Brass and Copper now available! With the acquisition of a brand new, state-of-the-art Fibre laser cutting machine, the WEC group are continuing to expand in both the capacity and range of laser cutting services they provide. The new machine can laser cut Copper, Brass and a variety of other non-ferrous metals up to 6mm, several of which before now the company was unable to cut. 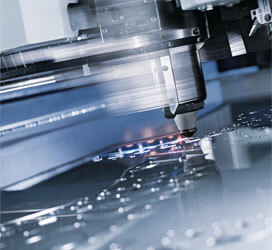 These additional materials mean that WEC Group can increase the variety of laser cutting services they offer, as well as increase laser cutting capacity for traditional materials such as mild steel, stainless steel and aluminium. As a company the WEC Group are continually looking for new ways to become greener, and are impressed with the Fibre laser's more eco-friendly operation as it does not require the use of a gas to function therefore produces fewer environmentally harmful by-products; the laser uses little to no energy when it's not in use, and operates around ten times more efficiently than a gas alternative. The Fibre laser is a means of expanding the capabilities and laser cutting services WEC Laser can offer, increasing capacity and the company's overall productivity.